Christina Chan is an actor, playwright and director. She attended Trinity Rep Conservatory, RI and the Royal National Theater, London, UK. She is a member of Screen Actors’ Guild and is Actors’ Equity Association eligible. She has received several Somerville Artist Fellowships, a Massachusetts Artist Commission and Boston Center for the Arts’ Artist in Residences. 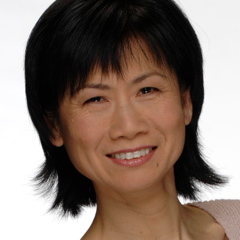 Christina has been featured and her work has been reviewed in various newspapers such as the Boston Globe, Boston Herald, Sampan and the World Journal. Christina uses historical facts, interviews and material from her own life to create performance pieces that explore the Asian American Women’s and AAPI immigrant experience. She is the Co-Founder of The Breaking Silences Project, a multifaceted artistic project that raises awareness and educates about the high suicide and depression rates of AAIP females between 15 to 25 years old.